The Monster Energy AMA Supercross 250SX East Region is back. The opening round of the 2018 season begins this Saturday at AT&T Stadium in Arlington, Texas. A new year also means new numbers, riders, teams, etc. It’s hard to keep it all straight. Luckily for you, we’re here to help. Here's a handy guide for the weekend and the season. Bookmark this, print it, or just keep this window open on Saturday night and you'll feel like an expert! Note: Osborne is coming off a four-win 2017 title run and is back to defend his 250SX East Region championship. He’ll move to the 450 Class for Lucas Oil Pro Motocross. Note: Mosiman will make his Monster Energy AMA Supercross debut this weekend. He raced for the team last summer in Lucas Oil Pro Motocross but missed much of the season due to a shoulder injury. Note: Davalos is back with Monster Energy/Pro Circuit Kawasaki after spending the last three seasons with Rockstar Energy Husqvarna. 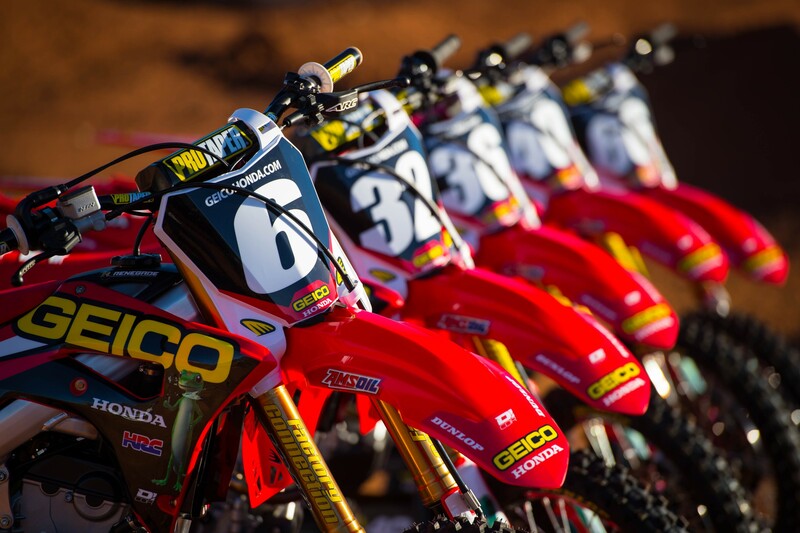 The 250SX veteran raced for Mitch Payton’s squad from 2013-’14, nearly winning a title in 2014. Note: Forkner enters his second 250SX season coming off a broken wrist and collarbone sustained during a November pre-season testing crash. Note: The two-time 250 Lucas Oil Pro Motocross champion changed up his program in 2018, using the first three rounds of 450SX to prepare for the East Region. He’s entering his second year with GEICO Honda after spending the first four years of his pro career with Yamalube/Star Racing Yamaha. Note: Hampshire has spent his entire professional career with GEICO Honda and agreed to a two-year extension with the team this off-season. 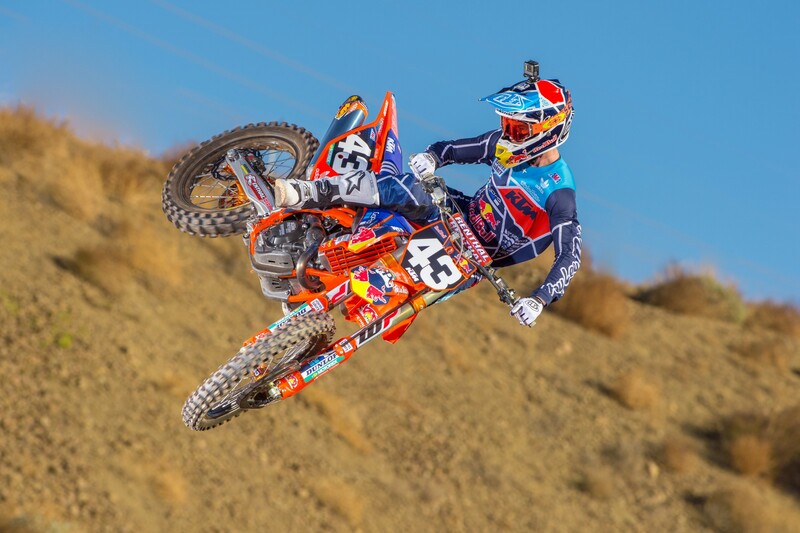 He missed most of supercross in 2017 due to injury. Note: The Iowan began his rookie year with Smartop/MotoConcepts, but was released from his contract so he could join GEICO Honda on a two-year deal mid-way through the East Region. He ended up missing much of the year due to injury. Note: Cantrell made his pro debut with the team in Lucas Oil Pro Motocross in 2017. The East Region opener will mark his Monster Energy AMA Supercross debut. Note: Smith was thisclose to winning the East Region in 2017 before crashing out of the season finale in Las Vegas. He’s back in the East Region and hoping to challenge Osborne for the championship. Note: The former Yamalube/Star Racing Yamaha rider was signed to an SX-only deal for 2018 after spending 2017 as a privateer. Note: Jimmy D landed a spot on the expanded JGR team after spending the last two years with GEICO Honda. Note: After bouncing around smaller teams in the U.S. and racing in Australia, the former Yamalube/Star Racing Yamaha rider landed a SX-only deal with JGR. Note: The former Grand Prix race-winner is back for a second year with the team. Ferrandis injured his wrist at the end of Lucas Oil Pro Motocross, but is 100 percent entering supercross. Note: Nichols sustained a broken upper arm in a testing crash which forced him to the East Region. He missed much of 2017 supercross due to injury. Note: The New Jersey native is back for a second year with the team. Note: Gaines has spent all of his pro career with the team. 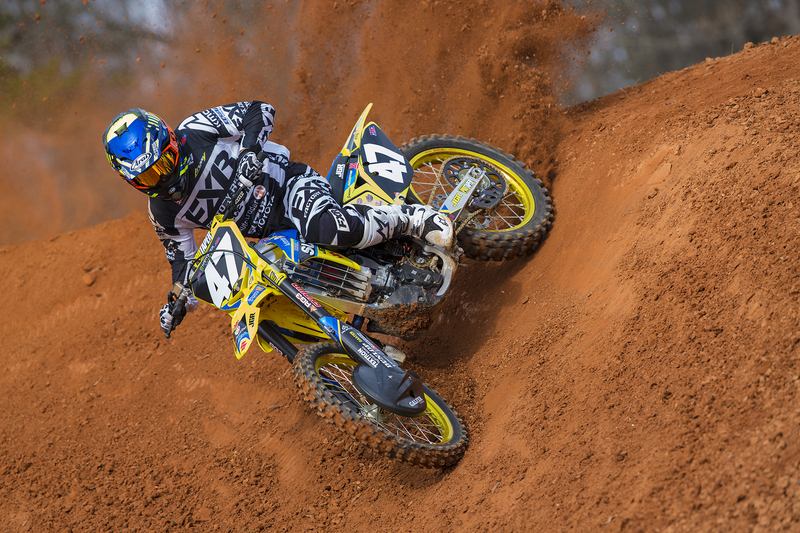 He returns on a four-race supercross-only deal. Note: Pennington injured his wrist this off-season, but will make his pro debut this weekend. Note: The New Jersey native will make his pro debut with the team this weekend. Note: Wharton, a three-time race winner in 250SX, returns to racing this year for the first time since the 2014 season. The former Rockstar Energy Suzuki and GEICO Honda team member will miss this weekend due to an off-season injury, but hopes to return in the next few rounds. 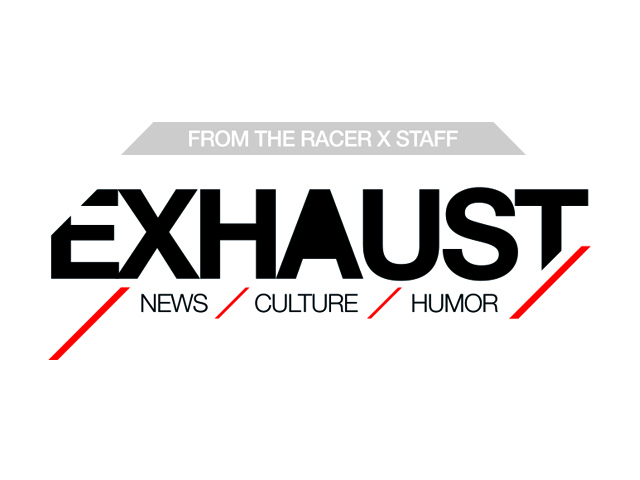 Check out Exhaust, our new site on news, culture, and humor. Note: Ames is entering his second professional season. Note: Root is out two-three months after breaking both collarbones and fracturing his sternum in crash while racing Amsoil Arenacross. Note: Crown made his pro debut after Loretta’s in 2017 and had some good finishes as a privateer. He’ll miss the start of the season due to a knee injury. Zack Williams will fill-in. Note: Osby spent last year with Redemption Racing in Canada.